Bell Flow Systems are proud to introduce the Cost effective DipperLog NANO water level logger to our ground water measurement range. 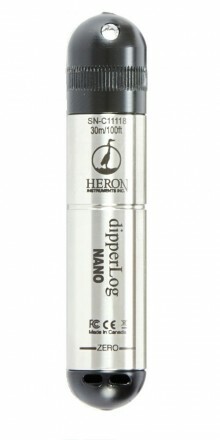 The DipperLog NANO sensor is a cost effective solution, costing only £299. The sensor is ideal for people looking to monitor water level applications in ground water, estuarine and surface water applications. The DipperLog NANO is available in two versions – the DipperLog Nano and the vented DipperLog Nano. 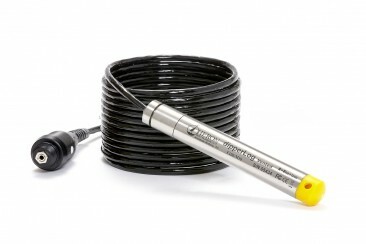 The standard model is an absolute (non-vented) level sensor which can be deployed with either Stainless Steel wire, or with direct read cable if you require surface data collection. For long term monitoring applications a Barlog NANO will be required for barometric compensation. The Vented Dipperlog Nano can be specified with vented cable for data collection from the surface, without needing to retrieve the sensor. A fast logging interval means that readings can be collected as fast as 1 reading per second. Battery life for the device is up to 7 years with an internal data logger offering collection of 32,000 data sets.